The big picture: Rovio is the first studio to announce a major game for Magic Leap's mixed reality platform. Angry Birds is an established (some would say past its prime) franchise that looks to be a great fit to demo Magic Leap's capabilities. Rovio, the Finish video game developer behind the established Angry Birds series, in partnership with Resolution Games has announced plans to bring its bird-flinging puzzle game to the Magic Leap One: Creator Edition this fall. 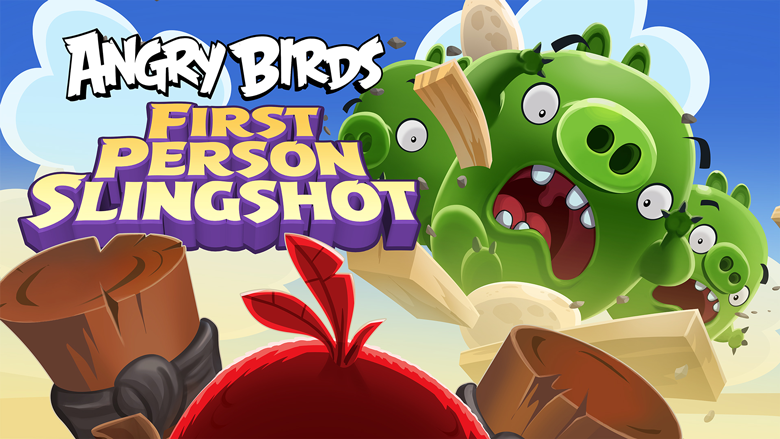 The new game, called Angry Birds FPS: First Person Slingshot, will feature familiar franchise faces overlaid onto real-world environments. A trailer published to YouTube shows what gamers can expect from the series’ latest entry. TechCrunch’s Lucas Matney recently tried out the game, noting that it’s an actual game and not just “a little tech demo.” Matney described it as refreshing and fun, adding that it’s the first time he truly appreciated the improvements the Magic Leap One boasts over other mixed reality headsets like Microsoft’s HoloLens. Nick Statt with The Verge also demoed the new Angry Birds game. It was his first time using the headset but he said he found it relatively straightforward to acclimate to. He praised the game maker for taking into account how AR can fundamentally alter gameplay. On multiple occasions, for example, he was rewarded for viewing the game’s levels from unique perspectives, peeking around corners and into structures to spot hidden TNT barrels and pigs. An exact release date and price for Angry Birds FPS: First Person Slingshot haven’t been announced. Magic Leap One: Creator Edition went on sale about a month ago priced at $2,295.